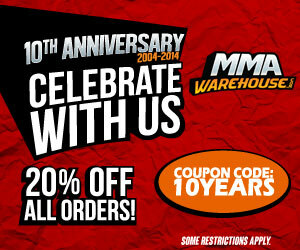 Warrior International has developed MMA gear and clothing that have become increasinly popular due to their high quality construction and unique designs. Recently, Warrior International has introduced a new line of Warrior MMA training gear. 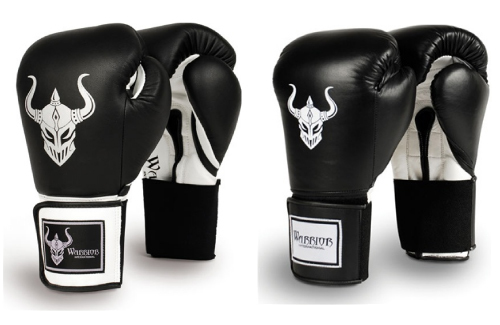 While both MMA gloves serve the same purpose, there are considerable differences between the two. For starters the PRO version costs about $20 more and is priced at around $80. This extra cost is factored due to the professionally designed ergonomic shape that will ensure the maximum protection for your hands. The padding has also a combination of different layers of high-impact absorbing foam that helps disperse shock energy more effectively. On the outside, the Warrior Pro Training glove is covered with pure leather for resilience and stability. On the inside is a moisture repelling nylon to keep your gloves dry, cool and less prone to smell. Overall, the Warrior Pro Training gloves version is an excellent glove, it’s a little higher priced but is well worth it for a professional grade glove. The regular Warrior MMA training glove is also of excellent quality and is designed for all levels of use from amateur to pro. This glove also has an all leather outer shell but the stitching is not as tightly refined as the Pro version. On the inside is a satin nylon lining that can also help reduce moisture. The regular Warrior Training glove has about 2” of foam padding and can do a decent job of absorbing high-impact shots. Overall, this glove is great for average usage and is very affordable at $60. Of course the ideal glove for you to get depends on your skill level and budget. However, we would like to recommend the Pro training glove, it’s only $20 more you get a more refined construction and finish. In addition, the Pro glove has a more distinguished design, as you can see it has a more prominent warrior logo on the exterior, there is also Warrior branding on the palm, and the strap has cool white leather instead of black.